Get the best that Hamakua has to offer with this oceanfront property. It offers a majestic view of the ocean and the mountains and is bordered by fresh water spring and stream. This 3 bedrooms 3 baths house standing in 2 acres land is designed taking advantage of tropical living. This listing is intended to resonate with those who have foresight enough to invest now to meet the rising need for housing. There are two good-size carefully maintained and thoughtfully updated homes on one lot that enjoy piped in county water. Located within the exclusive community of Keauhou Estates this stunning one-of-a-kind tropical villa with its Asian/Polynesian influence is a true darling of the cul-de-sac that provides a tranquil and private abode. This is a beautiful 20 acre parcel of land in up country and is just at the front of the subdivision. Its dimension is approximately 812 ft X 969.36 ft.
Aloha from one of the top Hawaii real estate companies! Pineapples have long been a symbol of Hawaii, perhaps because there was a time when eighty percent of the world’s canned pineapples came from Hawaii. 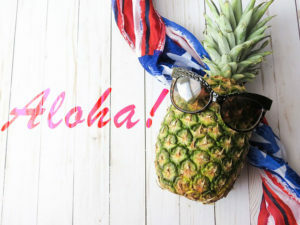 It could also be because they both exude a tropical feel as well as a warm, friendly and welcoming aura, attributes that we at Pineapple Homes, being a top Hawaii real estate company, wanted for each of our clients to feel and experience every time they deal with their real estate transactions with us. As one of the top Hawaii real estate companies, we always aim to provide excellent and personalized service to each of our clients. We aim to find the best deals available for you and more than a house we want you to be able to find a home where you can create new memories and tell old ones, the testimonials left by our recent and past clients reflect this and our work values. Each seller’s property that is listed on the market through our service is promoted and marketed through different mediums both online and offline. Our advanced home search tools found on this website ensures buyers are connected with the best homes available in Hawaii Real Estate market. We understand the mixture of emotions that goes into buying or selling a house. There is that feeling of excitement and optimism, but there could also be a feeling of anxiety and doubt. Buying and selling a house could be one of the biggest decisions that you’ll make so let our knowledge both of the industry and of the Island of Hawaii guide you and put you at ease throughout the process and together let’s make the days to come a great pineapple day! We are committed in helping you find that perfect house or vacant lot where you can start building your dream home. Search through a wide array of properties available in the market today.